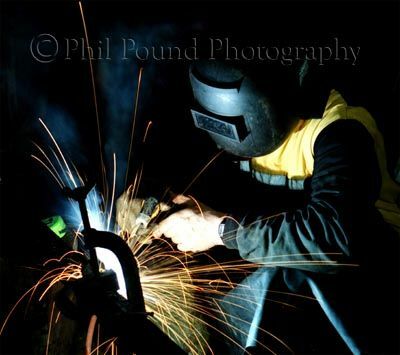 Welder at work. Promotional shot. © Phil Pound Photography. All Rights Reserved.